She Spoke Out… I Can’t Keep Quiet! In the past fortnight, there has been sudden thunder and lightning around cases of sexual harassment of women. The revelations about Harvey Weinstein’s sexual abuse of women actors over decades snowballed into a global movement of #MeToo — women speaking out about their experiences of sexual harassment by their seniors, bosses and colleagues at work. On social, print and electronic media, the revelations cover a wide range of situations — students against professors, actors against directors, journalists against show-anchors, sportspersons against coaches and team managers, workers against managers, executives against board members, lawyers against judges, staffers against ministers, and even believers against priests and godmen. I am delighted that so many women have found their voice, gained confidence and overcome false pretentions of shame and guilt to speak about their painful experiences of sexual harassment by men they trusted, men they worked with, men who were their leaders and coaches. 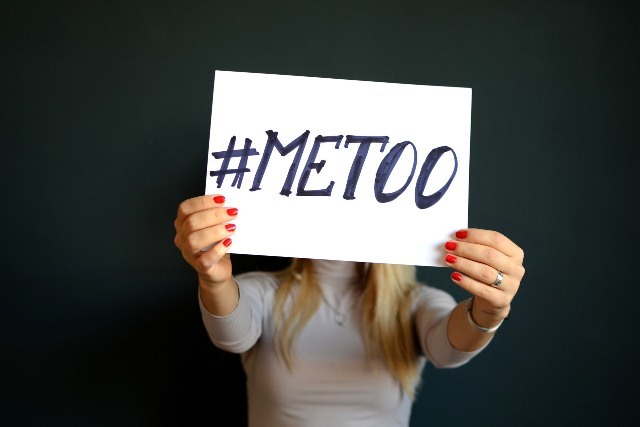 New surveys are re-affirming what was known all along, at least to women and their families — widespread sexual harassment has been occurring in all kinds of public spheres, on the streets, in buses and trains, at college campuses, restaurants, theatres and shopping malls, as well as in offices, factories, mines and all types of workplaces. I am frustrated though by the increasingly hostile questioning of these women ‘victims’ — why had they not spoken up earlier? Why now? Why did they allow it to continue? Why are names being released in the public domain? Why was due legal process not followed? Why did the women leave their jobs rather than stand up? Why did she seek a transfer rather than raise a complaint? Why?? Why?? Because, these men who have the power remain in their positions of power and authority, continue to abuse and exploit women, to hurt their progress, destroy their careers and assassinate their reputations amongst professional peers. How many complaints and stories about a hostile work environment did it take for the CEO of Uber to be replaced? How many complaints against Harvey were ignored by his fellow male board members? How many times do female actors and scholars need to complain before intellectual and artistic ‘giants of men’ in such professions can be stripped of their power and authority? I am proud to be associated with the legacy of work that my late colleague Dr Martha Farrell began more than two decades ago. She made it amply clear to me, and other men in authority, that complaints about sexual harassment must not be covered up, lest she ‘blows the whistle’. And blew the whistle she did on several occasions. She was not afraid to speak out against sexual harassment of women in her workplace, and in all her professional relationships. She did so recognising that there were potential associated costs — blocks in career progression, denial of consultancy assignments, loss of friendships, and even withdrawal of love! Today, I salute Martha for speaking out against sexual harassment at workplaces twenty years ago, including in civil society organisations and in academia. More women are speaking out today because of persistent practical work by many feminists like Martha. But men — we men — need to speak out in support of such voices more loudly than we have done before. We need to do so not because my daughter, sister, wife or another woman colleague was sexually harassed. We need to speak out against all forms, sites and types of sexual harassment faced by women anywhere, and everywhere. We need to have the guts to speak out when men in power and authority are accused of sexual harassment. When we do so, we move closer towards the dream of gender equality and justice in the world.